Ink cartridges are some of the costlier consumables in an office. This cost can even go higher if ink cartridges have to be replaced more frequently than usual because of damage. Faulty ink cartridges can be damaging to the printer and incur more costs. The good thing is that ink cartridges are relatively easy to take care of. You can get longer and more efficient printing service from your ink cartridges with a few care tips. Before installing a cartridge inspect it for damage. Check if the plastic pull tab or clip (older models) was properly secured before shaking the cartridge. This is to prime the ink. You can also tap the cartridge a few times to achieve the same effect. Inspect the gold contact chip for any scratches, dust or any other impurities on it. This is the point which provides data about the cartridge. Damaging this contact can cause the printer to sense incorrect ink levels. 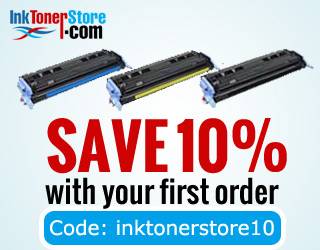 Different printers have different procedures for ink cartridge installation. It is important to follow the printer’s manual. If a manual is not available, search for instruction videos on YouTube. The ink cartridge should fit in smoothly and easy. Forcing the ink cartridge in can damage the cartridge’s contact point, or dislodge the printer head. It should also be easy to remove an ink cartridge when changing or inspecting it. Switch off the printer and let the printer head return to its resting position before removing it. Take it off gently to avoid dislodging printer components. Modern printers have sensors to help monitor ink levels and will show a warning light when the level is low. Other signs of low ink levels would be patchy printing, blank prints, and streaking. The printer can sometimes erroneously show low ink levels if the printer has not been used for some time. This can be rectified by repriming the cartridge. A simple wipe of the print head is often all that is needed for the ink to flow again. New ink cartridges that are not in use should be left in their airtight seals. This is to prevent drying out. This also keeps the nozzle from damage, which can make ink dribble out. Leaving the ink carded exposed can also lead to crusting on the nozzle. Always store ink cartridges in an upright position with the nozzle in the upper position. If you are storing a partially used ink cartridge, ensure to place the nozzle in an airtight space. This could be a polythene paper that is tightly wrapped with duct tape. Caring for your ink cartridges is fairly simple and saves you good money in the long run. Follow the tips above for longer lasting cartridges.